The Aastra RFP 35 IP DECT Indoor Basestation for SIP-DECT™ connects directly to the LAN like a VoIP device, while using the benefits of established DECT technology for radio transmission. The RFP 35 IP ensures full compatibility with cordless DECT terminals, which are available as system telephones and standard GAP terminals. The VoIP solution is best suitable for branch offices that are connected to a company’s headquarter via IP link for data and telephony. The Aastra RFP 35 IP has many exciting features for users of all types. 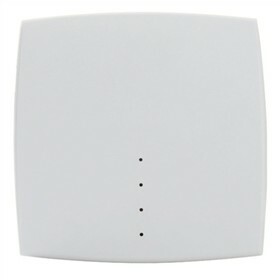 See the Aastra RFP 35 IP gallery images above for more product views. The Aastra RFP 35 IP is sold as a Brand New Unopened Item.